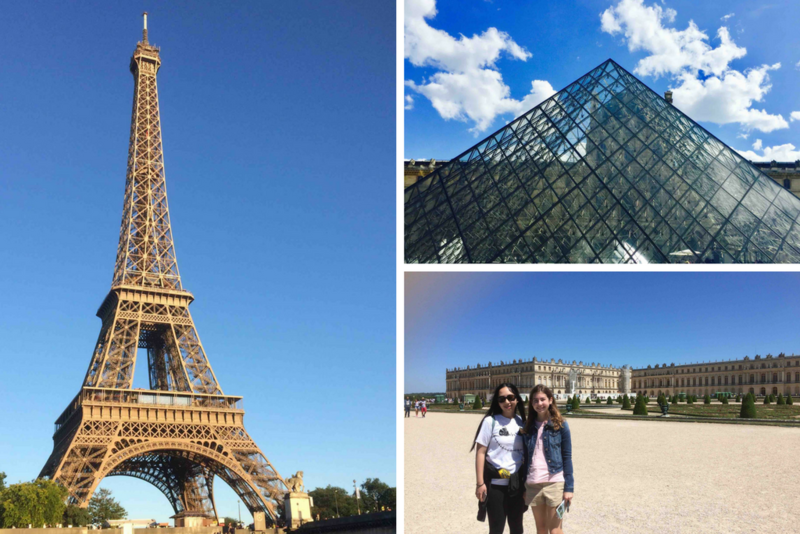 This past summer, I traveled to France with eight Tologs for a 10-day language immersion tour. While providing students the opportunity to learn and practice their language skills, they also were able to experience what it is like to live in France. 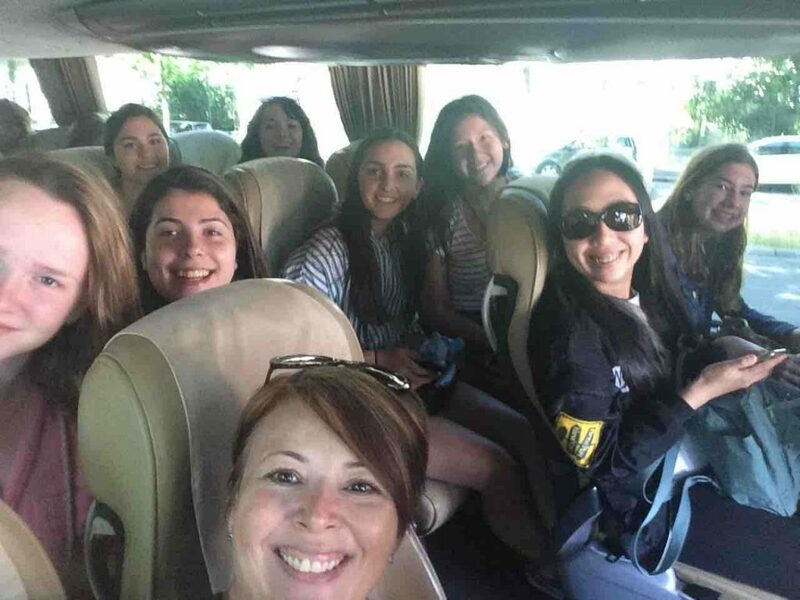 Students who traveled included Genesis Li ‘18, Samantha Covey ‘19, Tara Pugliese ’19, Charlotte Taormina ‘19, Emilie Nunn ‘20, Olivia Partamian ‘20, Meghan Sullivan ‘20 and Zoe Zarifes ‘20. The trip began with a few days of exploring Paris, mostly on foot. Even though no one slept much on the plane ride over, the tour started as soon as we landed in Paris and we were awake all day until returning to the hotel at 8 p.m. that first night. We met the other members of our tour group who were from a high school in St. Louis. Their group included their French teacher, nine girls and one boy. We visited sites such as the Louvre museum, Notre Dame, and the Arc de Triomphe while in Paris. At the Louvre, Samantha recognized the statue of Victoire de Samothrace as the one in the film “Funny Face” with Audrey Hepburn and how she walked down the staircase in a beautiful red dress. In addition, we participated in an excursion to walk through the palace of Versailles and stroll through its beautiful gardens. Everyone was impressed by the grandeur of the palace and its gardens. Genesis stopped along the path to enjoy a cool glass of freshly squeezed orange juice sold by a vendor. We wanted to purchase some ice cream, but it seemed that may other visitors had the same idea. In the evening, we cruised the river Seine and saw what life along the river in summertime is like for Parisiens. We witnessed people sitting alongside the river, chatting, eating, enjoying each other’s company and even dancing. In the summer evenings, there are groups of people that meet to dance the tango and swing dancing. Some of us wanted to join the dancing, but unfortunately we couldn’t leave the boat at that moment. While in Paris, the students noticed the large number of police and also the presence of the French military, especially at highly visited tourist sites. Even though this wasn’t something they were used to seeing in the United States, they understood why their presence was needed and admitted that they did feel safer to travel throughout Paris knowing the police and military were there. 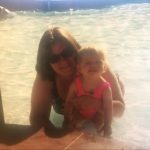 The time in Paris was relatively short, but that’s because we traveled to Nice via the TGV (Train à grande vitesse or high speed train) in order to spend a week at a language school. When we met at the platform after leaving our train, one student realized she had been pick pocketed! Our students had been very careful to keep valuables in a money belt under their clothes, which she had also done. On the train, she placed the money belt in her purse. She didn’t even know when someone opened her purse and removed the pouch. Don’t worry, she was able to return home at the end of the trip with the rest of the group. However, I secretly believe she was trying to find a way to remain in France for the summer! For five days, three hours a day, students attending class at the EF Language School. 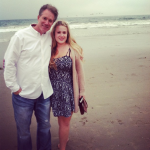 Each day they practiced new communication skills, both in and out of the classroom. And, on the last day of school, they went to the beach for part of the lesson. Their instructor, Johann, discussed a different theme each day and created lessons that centered around conversation. 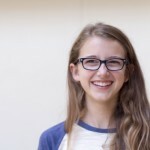 Some topics included food and cooking, stereotypes, shopping at a local farmers market, hobbies, and interests of teenagers in France, the United States and around the world. In addition, students were able to live among the locals and participate in their daily activities. Over two evenings, students dined with local families and even learned to cook some niçoise specialties. Some members of the group also enjoyed dancing after dinner with their hosts. They went on a scavenger hunt at the farmers market in Vieux Nice, went to the beach and swam in the Mediterranean Sea, played ping pong, ate delicious ice cream at Fenocchio every day, took a trip to Monaco, created souvenirs during a ceramics class and learned the traditional game of pétanque that many locals play very passionately. On one evening, students attended a play in French. 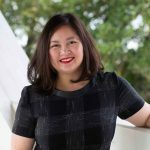 Although they struggled to understand the language at the beginning of the play, they stuck with it and were able to understand more than they believed possible by the end of the play. The hotel in Nice was more like a home. It was a former mansion converted into a hotel and it was run by a friendly couple. The students from FSHA and their new friends from a high school in St. Louis were the only guests at the hotel so it really did feel like a home. Each morning, Madame Aïda provided us with a delicious breakfast which included fresh fruit, croissants, pains au chocolat, baguettes and butter and freshly made café au lait. 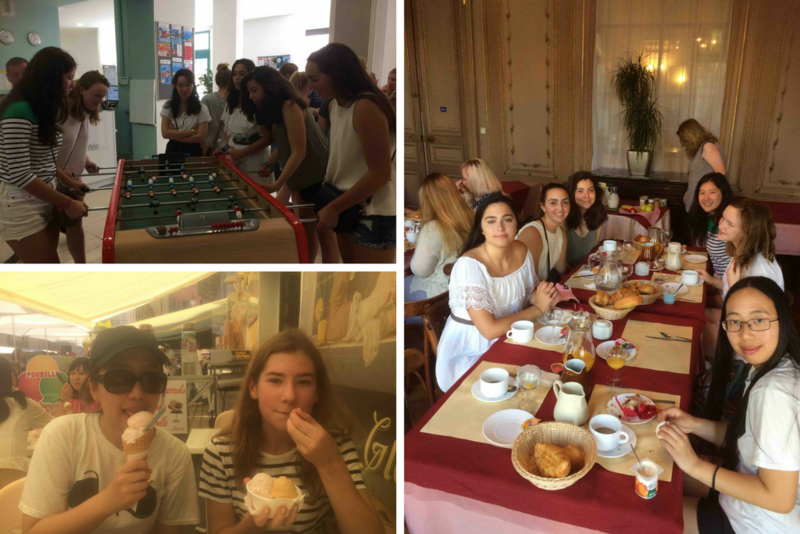 Besides being in France and improving their language skills, students valued the time they were able to spend with one another. In Nice, students roomed in groups of four. Each room had only one bathroom so they had to learn to work together. One evening, I received a text at 2 a.m.! Charlotte and Tara went to visit Emilie, Meghan, Olivia and Zoe in their room. At midnight, when they tried to return to their room, they couldn’t open the door. Since it was an old building, they still locked with a skeleton key and sometimes it would get stuck. The girls tried for two hours to open it themselves. Madame Aïda even tried to help them at one point, but it was difficult for them to understand her through the door and she gave up. She was asking the girls to remove the key on their end, otherwise her using the key from the other side wouldn’t work. When they got a hold of me, I went down, asked them to slide the key under the door, and, voilà! They were free to return to their room again. Now they know what to do if they are ever in that situation again. 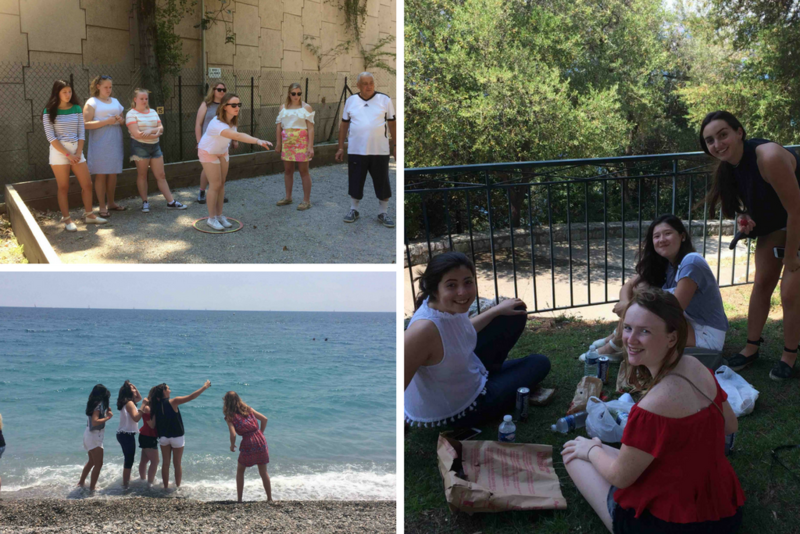 Students enjoyed their time in Nice because they were able to become very familiar with the city and experience life on the French Riviera. They learned so much while having fun that the students asked if they could go back again next year. They truly loved their French adventure and learned much about the French language and culture. More importantly, they created strong friendships and special memories that they will carry with them for a lifetime. So, who’s going next? Are you ready to visit France?